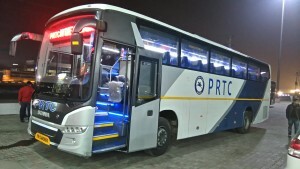 PRTC has started a direct bus service from Patiala Bus Stand to Indira Gandhi International Airport, New Delhi (IGI Airport). A 45 seater Air Conditioning Scania bus has been put on this route. Departure time from Patiala Bus Stand is 4:00 PM (Evening). Arrival at IGI Airport, New Delhi is Around at 9:30 PM (Night). Note: Passengers are required to take free shuttle for Terminal 3 from drop off point. Free shuttle bus takes approx 10 to 15 minutes to reach Terminal 3. Fare (Ticket Price) is Rs. 700 (One Way). I used this bus service in January 2016. Fare is very reasonable compared to other buses. It left on time and reached Delhi international airport at about 10:30 pm. Bus service is not going up to Terminal 3. 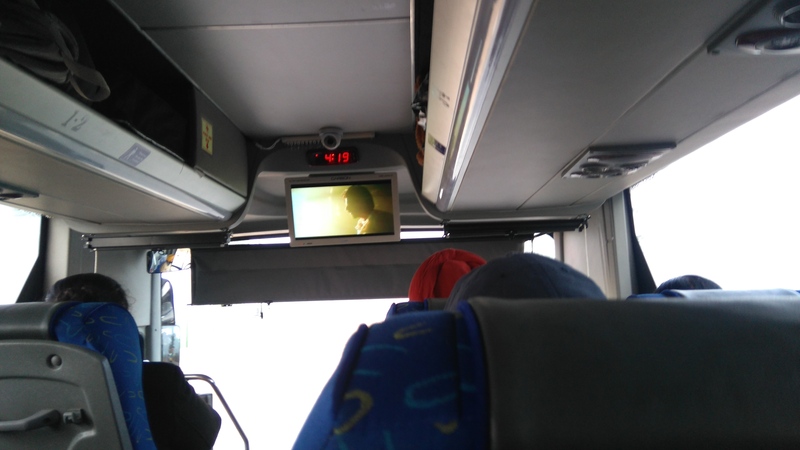 I took free airport transit bus for Terminal 3. It is good bus service started by Punjab Roadways for Delhi International Airport. Presently there is only one bus, which leaves Patiala at 4:00 PM for Delhi Airport and stops at all big stops like ISBT Delhi and others to drop passengers. Low fare of Rs.600. Five stars for the service. prtc stands for pepsu road transport corporation patiala not punjab roadways or whatever….!!! 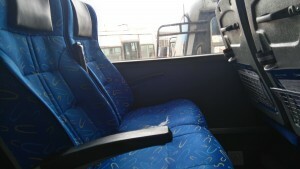 AC Bus from Patiala bus stand to Delhi International Airport by PRTC. Very good service at about Rs.600. Ticket price is now Rs.635/-. Bus leaves at 4:00 pm from Patiala bus stand and arrives at Delhi IGI airport at 10:30 pm. It is a very good service, needs more buses. It is a very fast and with very few stops bus service. Very reasonable fare. Needs more buses from PRTC. Is there bus from IGI Delhi to Patiala? If yes what are the timings. I’m looking for PRTC bus service from IGI to Patiala after midnight. Is there any service?